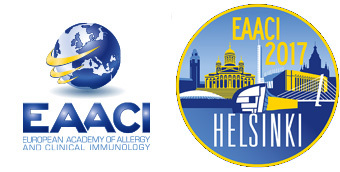 It has been awarded with the the prize to the best presentation of the session Allergens and immunotherapy. Authors: Benito-Villalvilla, Cristina/Soria, Irene/ Cirauqui, Cristina/ Angelina, Alba/ Martín-Cruz, Leticia/ Subiza, Jose Luis/ Palomares, Oscar. The study was performed in the Dept. of Biochemistry and Molecular Biology (Complutense University of Madrid, Spain), Experimental Unit of Hospital Clínico San Carlos (Madrid, Spain) and INMUNOTEK.